Theodore, CA, Esther, Ann and Carl Jr. Image on the right: Rosa Kluge, CA's first wife. Carl Anthony Spinner, the eldest of Peter and Katherine Spinner’s eight children, was born in Village Creek, Iowa, on July 28, 1859. Carl was trained as a blacksmith in his father’s Village Creek shop and, along with 5 younger brothers, assisted his father in clearing land for a farming operation. In 1883, at age 24, Carl married Rose B. Klug (age 23) at the Immaculate Conception Catholic Church in Lansing. The following year, Carl and his brother Frank, (age 22) opened a Blacksmith, Wagon & Repair Shop in Waterville, a small hamlet 10 miles south of Village Creek. The Partnership lasted four successful years then Frank left to pursue a blacksmith career in Helena, Montana, a booming frontier town. Carl remained in Waterville and continued to develop the business. By 1890, he and Rose were the parents of five sons but only three survived infancy. Rose died in 1891 (age 31) while on a visit to Village Creek leaving a husband and 3 young sons. Carl continued his business responsibilities and assumed care of Vic (7) and Theodore (5) his two oldest sons. The youngest, Carl, Jr. (1), was taken to Village Creek where he was raised and educated by his grandmother, Katharina Markt, and his aunt, Mary Catherine (Mayme), Carl Sr.’s unmarried sister. 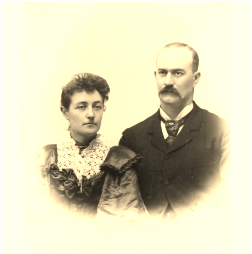 In 1894, Carl married Anna B. Conley (b. 1862) at Cherry Mound, a Catholic church 4 miles SW of Waterville. This union produced five additional children but with similar survivor consequences. Of 3 girls and 2 boys, only Roy and Esther lived more than 2 years. Visiting the Mississippi river village of Harpers Ferry with his father, 10-year-old Roy died when he fell into boiling water being prepared to clean fish nets. The remaining sibling, Esther Katherine, lived to adulthood and with her 3 stepbrothers, (Vic, Theodora & Carl, Jr.), formed the nucleus of Carl’s ancestral legacy. In 1894, Frank returned to Village Creek and, between 1894 & 1913, was Carl’s silent partner in “Spinner Brothers”, now a Waterville general merchandising company. In 1912, the brothers built a 26x90 two story concrete-block building to replace their original store which had been destroyed by fire. The new building’s method of construction, its heating system and its second floor apartments were quite advanced for the times. Carl did not encourage his wife to be involved in the planning or construction of the new building. When it was completed Carl invited her to tour the first floor store and the apartments above. “It’s very good, Carl” she commented, “but where are the closets?” The building still stands, bereft of closets but with a large fish painted on the side, depicting Paint Creek, a trout stream that runs through the village. Carl was heralded as a successful businessman and a popular leader in the community. He traded in grain and livestock and constructed multiple buildings on his 25 acres adjacent to Waterville. This property also contained a spacious home he built in the 1880’s. “Spinner Bros. Store” became a center of activity for the area. 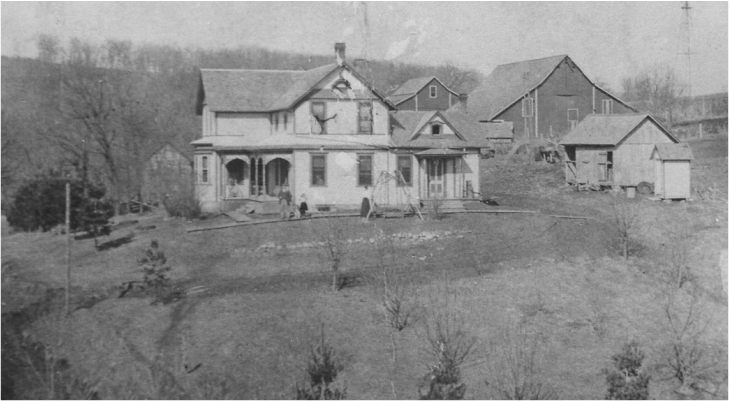 With additional success in his grain and livestock activity, he acquired three farms totaling over 300 acres. Unfortunately a bank failure and the depression drastically reduced the value of his estate. Carl, was active in his community and a member of the board of directors of the Waterville Savings Bank as well as a stockholder. He was a charter member of the local Woodmen camp, a member of the Royal Neighbors, the Yeoman Order and the Cherry Mound Rosary Society. He was described as a “wealthy and successful man” by several bio-publications of the period and his peers accepted the description as accurate. Anna B. Conley, his second wife of 30 years, died in 1926. Two years later Carl Anthony Spinner, the eldest of 8 children of German Immigrants, died (January 27) of an acute nephrotic syndrome at his home in Waterville. He was 68 years and 6 months of age. Victor James (Vic) (1884-1970), Carl’s eldest son. After attending business school in Carroll, Iowa he journeyed to Seattle, Washington. There he married Theodosia Budd Moore (b. Hailey, Idaho, August 7, 1888; d. January 6, 1961), and then returned to Iowa where they engaged in farming (1913-1919). They then returned to Seattle where Vic founded his successful Seattle Tool & Supply Company. Their two sons were: John Carl (1913-1980) m. Ethel Murphy (b. Alaska, June 22, 1912; d. September 9, 1989) and Victor James Jr., (1915-1961) m. Sarah Waddell (b. Seattle WA, Jan 26, 1915; d. Seattle, WA January 19, 1982). Carl Anthony Jr . (1890-1938) m. Effie Ahlstrom (b. 1891). After the death of his mother, one year old Carl Jr. was raised by his grandmother and aunt. He worked as a bookkeeper for Armour & Company in Sioux City, Iowa. They had no children. Esther Katherine (1900-1973) was Carl’s only surviving daughter. As a young woman she attended boarding school in Dubuque followed by 2 years at St Mary’s college in Prairie du Chien, Wisconsin. After her education, she returned to Waterville and assisted her father in his business and personal affairs. Esther was the organist for more than 50 years at St Pius Catholic Church, Cherry Mound. She married Thomas Lawrence Slattery (Larry) (1899-1968). They had four children: Thomas Carl (1935-) m. Clare Lynn Durr (1939-); Donald James (1938-) m. Marilyn Piesko (1940- ); Ellen Ann (1940-) m. Charles E. Quandt (1930-) and Joseph Lawrence (1942-1954). Carl Anthony Spinner’s name appeared in baptismal records as ‘Charles Anthony’ and his 1860 census entry was ‘Charley’. Notwithstanding those sources, ‘Carl Anthony’ (C.A.) was the only version he or his family every used. Carl A. Spinner needs no introduction to the readers of this volume, for he has long been one of Waterville's prominent and representative citizens, having been for twenty years connected with important mercantile interests as a member of the firm of Spinner Brothers. Moreover, the high and upright principles of his life have gained him an enviable position in the public regard, commending him to the confidence and good-will of all with whom he comes in contact. He is a native son of Allamakee county, born in Village Creek, July 28, 1859, his parents being Peter and Katherine Spinner, natives of Germany and early settlers in this part of Iowa. A more extended mention of Mr. and Mrs. Peter Spinner is found on another page in this work. They became the parents of the following children: Carl A., of this review; Frank; Fred; Peter; William; Constantine, and Mary, who lives in Lansing. Man in chair far left- Fred Spinner, Sitting on porch man -Frank Spinner, boy Theodore, boy Carl Jr., girl Esther (2yrs. ), boy Victor James, young man? 2nd row, Peter Jacob Spinner, Katherina Markt Spinner, back row, man standing?, Mary Katherina, Ann Connely Spinner with baby Ethel, C.A. Spinner, Florence Barnes Spinner, wife of Fred P. Spinner. Carl A. Spinner was reared in Village Creek and in his childhood learned the blacksmith's trade with his father. He worked at this until he had reached maturity ad then came to Waterville, where he established a blacksmith and wagon shop of his own, conducting it successfully for thirteen years and at the end of that time selling out to form a partnership with his brother Frank in general merchandising under the firm name of Spinner Brothers. This is his present business connection and it has brought him prosperity and prominence, for he is today one of the best known business men in the city. The firm carries a complete line of general merchandise and has enjoyed a prosperous career. In 1912 the brothers built a fine business house, twenty-six by ninety feet in dimensions, with two stories and a basement. It is constructed of cement block and heated with a furnace and steam, being thoroughly equipped with all modern conveniences. Besides a complete line of general merchandise Spinner Brothers carry also a stock of harness, robes and horse blankets, and control a representative and growing trade along these lines. Carl A. Spinner was one of the promoters of the Waterville Savings Bank and is a stockholder in that institution. He owns also a fine residence in Waterville and a three hundred acre farm near the city, now operated by his son. As the years have passed he has steadily prospered and is today a successful and prominent man, connected through his trade relations with important business interests. 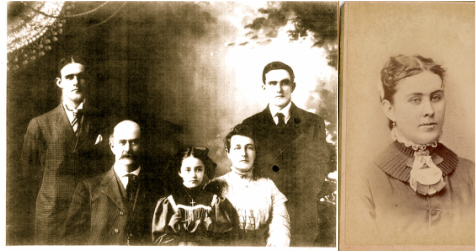 Mr. Spinner was married in April, 1880, in Lansing, to Miss Rosa Kluge, who was born and reared in Allamakee county. She died in Village Creek, while on a visit there, and left three children: Victor, who is now in the west; Theodore, who is engaged in farming; and Carl, bookkeeper for Armour & Company at Sioux City, Iowa. After the death of his first wife Mr. Spinner was again married near Waterville in 1895. In that year he wedded Miss Annie Conley, and they have one daughter, Esther. Mr. Spinner gives his political allegiance to the democratic party but has never been desirous of holding office. He is connected fraternally with the Modern Woodmen of America, the Royal Neighbors and the Yeomen, and he and his family are members of the Roman Catholic church. As a business man he has always kept in touch with the trend of modern progress and through the able management of his own concern has contributed in no small degree to the commercial development of the city. In his business career he has made steady and honorable progress but he is no less highly esteemed for the traits he displays in relations of social life and of citizenship. Company, Ellery M. Hancock. Vols. I & II. Chicago: S. J. Clarke Publishing, and 1913.. "Past and Present of Allamakee County, Iowa - 1913 - S." RootsWeb.com Home Page. Ancestry.com, n.d. Web. 19 Apr. 2012. <http://www.rootsweb.ancestry.com/~iabiog/allamakee/ppa1913/ppa1913-s.htm>.